Take a minute and carefully look all around you. Whether on the television, at work, at the ball games, or at the crowded mall, beards are definitely in this year. While growing a beard is becoming extremely popular, it is important to understand that those facial follicles simply didn’t grow overnight. Not only does it involve some serious time, but it also involves a commitment of proper grooming techniques to grow that healthy, strong and long beard. One of the components of your grooming regimen must be a beard balm, and if you are wondering still what is beard balm, now is the time to understand why you need to care about applying this product to your face. In the simplest terms, the beard balm is basically a leave-in conditioner, responsible for conditioning, softening, moisturizing and softening your beard. The majority of these beard balms contain shea butter, giving you the ability to easily style your beard. In addition to that ingredient, many of the balms contain oils for conditioning, sealants like beeswax for helping to seal in all that moisture and make your beard feel softer. Not only are these ingredients vital for growing a healthy beard, because they are usually all-natural ingredients, but they also help to reduce beard rash and itching. How Do I Use a Beard Balm? The process for implementing a beard balm into your grooming routine is fairly simple. 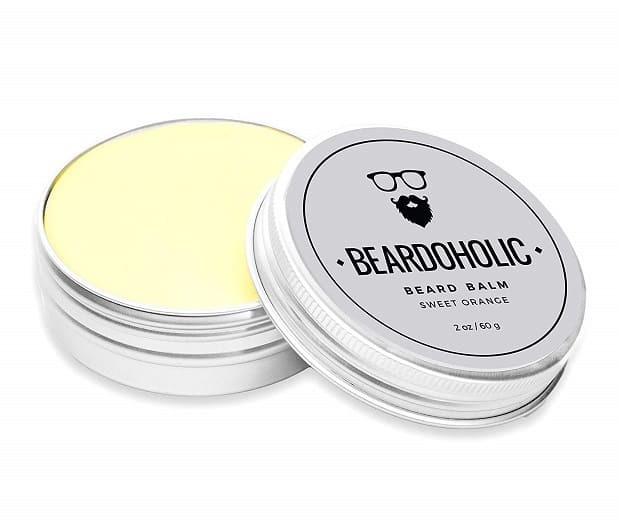 The basics for applying the beard balm are to simply place a generous amount of the balm in the palm of your hand, rub between the fingers and apply to the beard starting at the neck area and working upward. Once to the top, reverse your direction and work the balm into the beard from the top to the bottom. Make certain you get as much of the beard balm to the hair roots to help promote growth by nourishing them. The best time to apply the beard balm is after you take a shower and dry your beard. Applied correctly, the result will be a shiny, strong, and healthy beard, able to grow long and full as you deserve. In order to grow a thick and healthy beard, a beard balm is a vital product that will help stop any split-ends, flaky skin, and tangles. The end result will be a beard that has natural beauty and is easy to manage. The beard balm is perfect for those men just starting to grow a beard as well as beard veterans. All natural ingredients that comprise the beard balm ensure that tangles and frizz will be controlled, whiskers will be softer, and skin irritation from itchiness will be reduced. Great information on how to use beard balm. Do you recommend using both balm and beard oil or just one to cover bald spots and to strengthen beard? If you have more, feel free to ask. I love that you mentioned when is the best time to apply beard balm. I have wanted to know if there is a best time to do so. I am happy to read that you should apply it directly after you take a shower and dry your beard. I will be sure to apply my beard balm at the right time, so I can yield the best results.